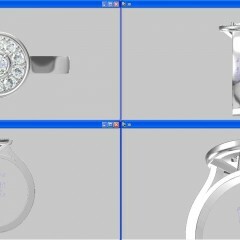 This brief was to create a new engagement ring and wedding ring that used the diamonds from the client’s previous rings. 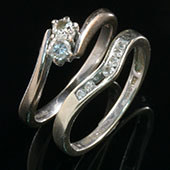 We designed a new cluster-style ring cast in Platinum. 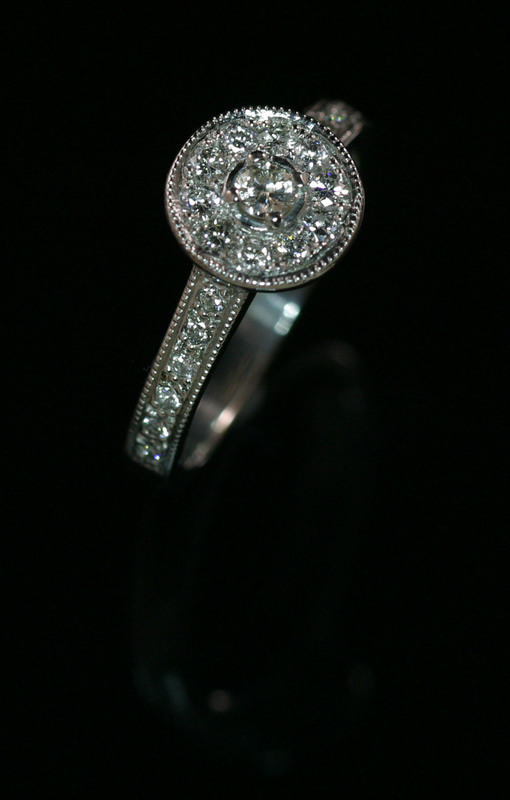 We set the inherited stones and then added several more to fully complement the design. 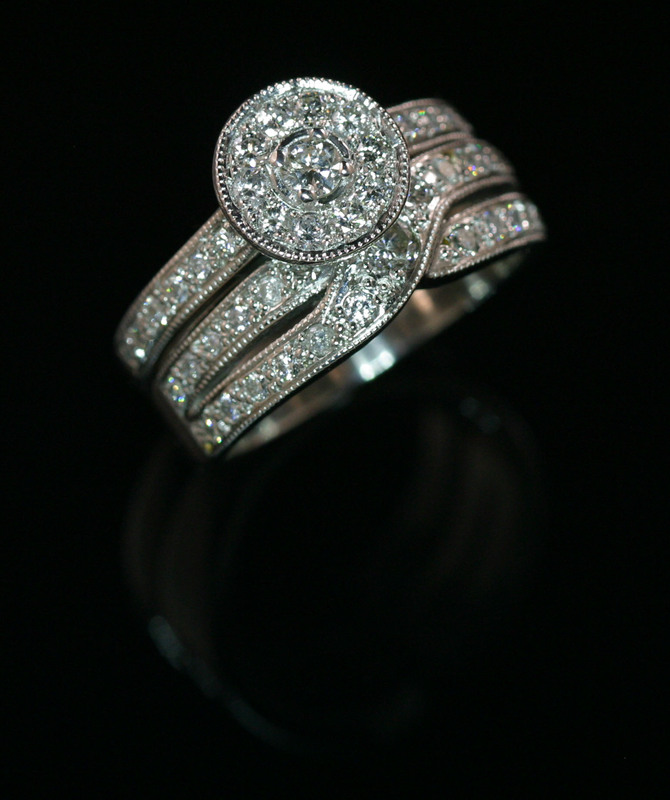 The largest of all the inherited stones came from the original engagement ring. 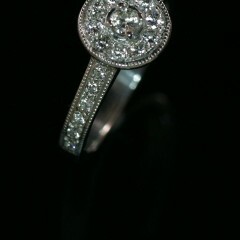 This then became the centre piece of the new wedding ring. 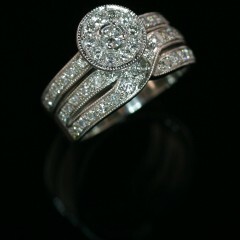 The result is a fabulous looking pave set pairing that will be sure to give many more years of enjoyment to the wearer. The design is cadded and then a model printed to enable us to cast in platinum. 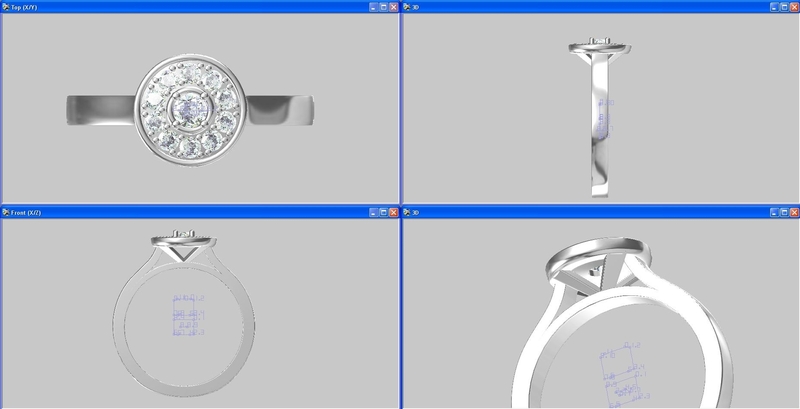 The stones are now set and the millgrain setting is applied to give the piece some character. 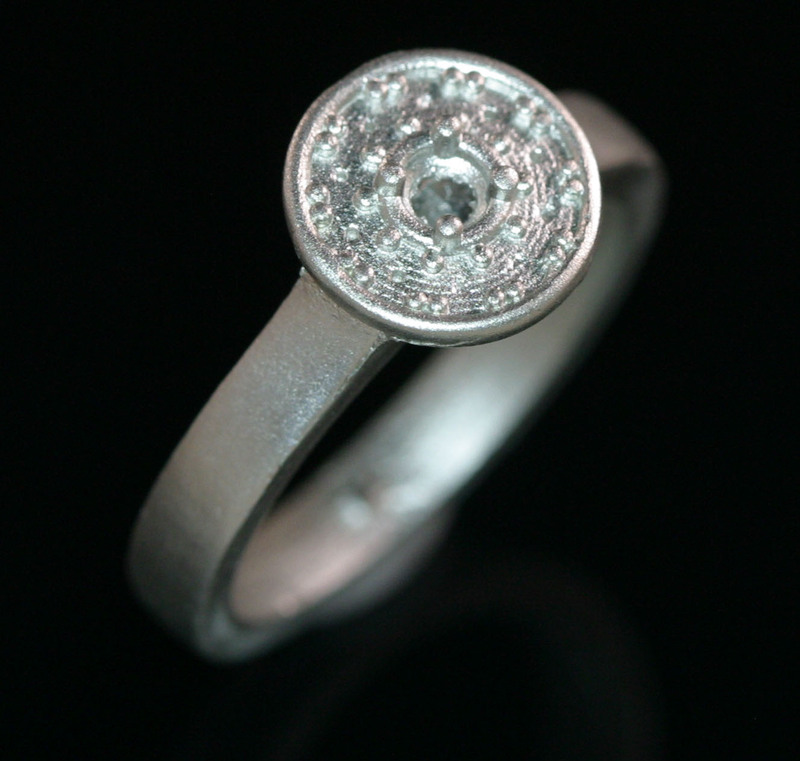 The second of the larger stones was then used with the addition of a few friends to create a matching wedding ring…..a stunning combination.